Facebook Just Made It Easier to Raise Money for Your Favorite Charity. 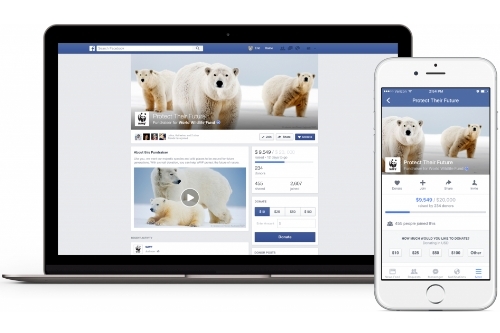 Recently, Facebook launched a new set of tools that help nonprofits raise funds for their charities on Facebook. There are many ways to collect donations on a Facebook page, advertise, or post while spreading awareness and educating people on the charity. 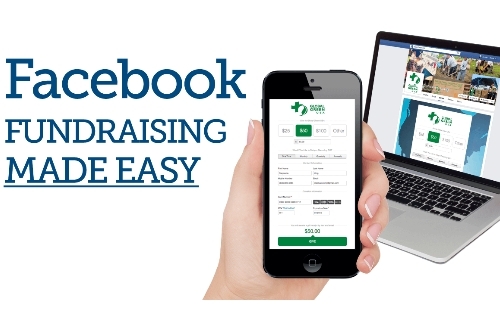 In this article, we will take look at the great features of the facebook fundraising tool. 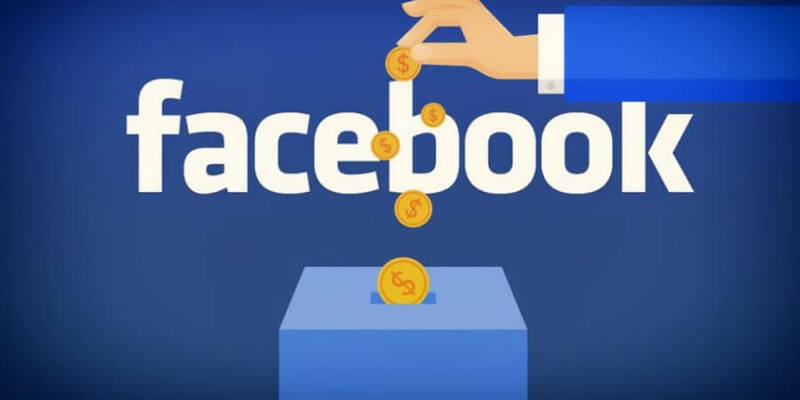 Facebook has included fundraising campaign features that allow Facebook users to create a page, request and collect donations, and receive daily reports on the activity and funds that are raised through the site. The fundraising tool allows other people to raise money online and create awareness, as well and gain supporters that can also set up their own dedicated page. The Facebook fundraising tools work for US-based 501(c)(3) organizations. These types of organizations are US tax exempt from federal income tax and the fundraising tool is geared toward charitable, religious, educational, scientific, and literary. Including a donate button as part of an advertising strategy using Facebook is a great way to gain coverage and spread awareness for the type of charity that is being promoted. To get started, go to this page and fill out the online application. It will take up to two weeks for the application to process. The Facebook donation tools are only available for individual profiles, and currently, do not offer these tools for company pages. The organization must be based in the United States and have a bank account that is registered with a licensed financial service institution. After completing the application, it is necessary to agree to Facebook’s terms of service and comply with their community standards. If the organization is receiving donations but it is not registered, then all donations will automatically go to Network for Good. To set up as a page admin, log into your personal account and be sure that a correct United States address is listed in the About Me section of the page as well as choosing Nonprofit Organization in the drop-down menu to specify the page category. Adding team members as administrators can also be done, and anyone that has an active Facebook account is eligible to donate; keep in mind that you cannot limit specific countries when it comes to the locations the donations originate. When the page is ready to begin receiving donations, the page must be registered with Facebook payments to receive these donations. The payout is in the form of a wire transfer, ACH/direct deposit, and the amount must reach a minimum of $100 to become eligible for a bi-weekly payout. If the page is not registered to receive donations, then all donations will go directly to the Network for Good. The Network for Good organization is another online fundraising platform that is set up for different charities and other nonprofit organizations. The organization will charge a small transaction processing fee of between 3% and 5% for donations along with subscription fees that the charity might incur. To learn more about reporting the donation income, go to the Publishing Tools section of the Page Admin and the reports generated for the day can be viewed here. All reports are updated at the end of each day. The daily transaction report includes the first and last name, donation amount, and email address of all donors that provided funds. There is also the option to view a payout report. Simply go back to Publishing Tools on the Page Admin section and find donation settings. From this tab, you can download the donation reports as a .cvs file. One of the biggest elements of having a successful Facebook Fundraising experience is promoting it. Build an audience, get the likes, receive the donations, publish updates, send thank you shout-outs, and keep potential donors informed of the progress. Be sure you are frequently posting on the Facebook page, keep the content reader friendly and positive, and build a social network for the cause. Find similar organizations and combine your efforts and reach a larger audience. Finally, use Facebook Insights to monitor the page and use the metrics to reconfigure any aspect that needs to be developed more or improved upon. 95% of the proceeds will go directly to your charity or cause, and the other 5% will go toward operational fees for using this service; this fee includes a portion for fraud protection and payment support, as well as a small percentage set aside for payment processing. If it is a nonprofit that is receiving funds through Network for Good, Facebook will deduct 3.5% of the money received to payment processing and support and fraud protection. Network for Good will deduct 2.25% to cover charity vetting, donation disbursement, and overall operations. If you do not receive a receipt, you can visit the Payment History portion of the page. To create a fundraiser for a nonprofit organization simply click Start Fundraisers in the menu found on the news feed, search for the nonprofit, and choose a cover photo and enter all the details. Finally, click Create. All of the Facebook Fundraisers are made public so that everyone can see them. Utilizing social media to increase fundraising efforts is a great way to establish a presence, illicit a response, and collect the money you need for your nonprofit organization. Facebook is one of the leaders in the social media world with millions of users. They have made it accessible and have provided the tools to take the guesswork out of fundraising. What are you waiting for? Go to this page today to take the first steps toward a successful online and social media fundraising strategy. I am a Peace Corps Volunteer. I’m serving on the island of St. Vincent in The West Indies. I am assigned to The Special Olympics Organization. I read your ideas about fundraising. We are of course, NOT in The United States, but are still very interested in the concept of fundraising. Do you have options for people/businesses like me who are outside The US?? Any help is greatly appreciated. I’ll wait for any response you can offer. Thanks very much.